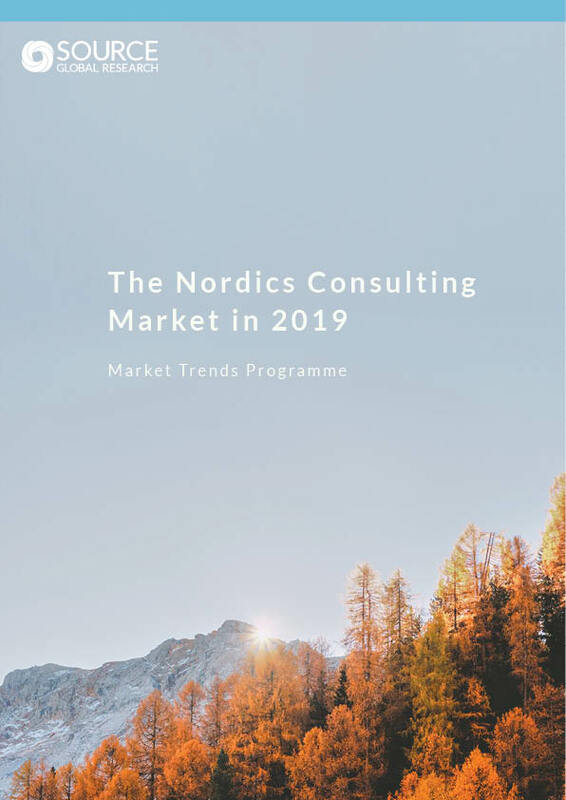 The Nordics consulting market grew an impressive 7.8% last year, with consultants in all four Nordic countries seeing faster growth than in 2017. Even better for consultants, the good news was widespread, with all consulting market segments growing ahead of expectations, thanks to solid regional economies and a strong demand for digital solutions. Unfortunately for firms operating here, few expect a repeat performance in 2019, with most consultants feeling cautious about the year ahead, mostly due to an increasingly volatile international trade picture. This report contains the most accurate view available about the Nordics consulting market. Underpinned by our global data model and interviews with senior consultants and their clients, this report will allow you to really delve into what’s going on in the Nordics market, and why. The report contains market sizing data, growth forecasts, and deep analysis, all backed up by extensive quantitative and qualitative research among consulting firms and their clients. This report also contains feedback from clients about the Nordics' growth potential. You can also access the underlying data, including richer digital data, about the Nordics consulting market through our global data model portal, getting you to the detail you need and allowing you to create custom views of the market to suit your needs.